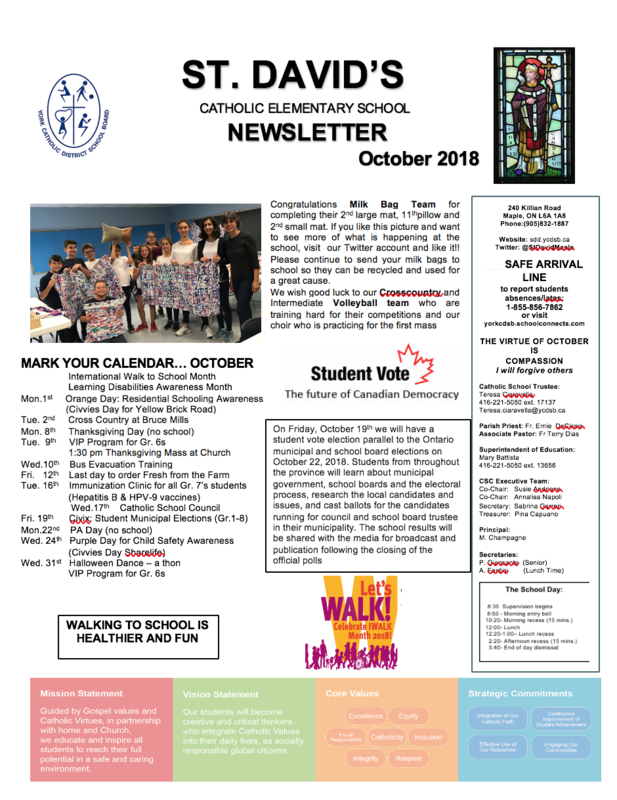 Our October Newsletter is ready for your information and entertainment. Terry Fox started his Marathon of Hope in 1980 at only 22 years of age. Although he was stopped short of his goal, many all over the world continue his dream to end cancer by raising money for research. Over the years St. David CES has participated in continuing the dream through the Terry Fox Run. 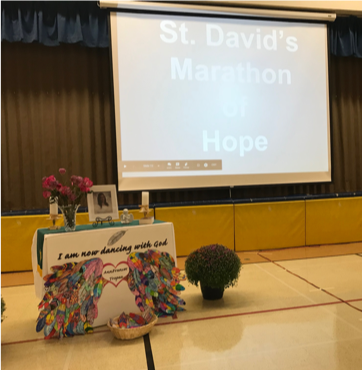 This year our staff prepared a Marathon of Hope ... Continue reading "MARATHON OF HOPE AT ST. DAVID"
We are pleased to provide you with the attached highlights of our school results on the provincial EQAO Test written last spring. 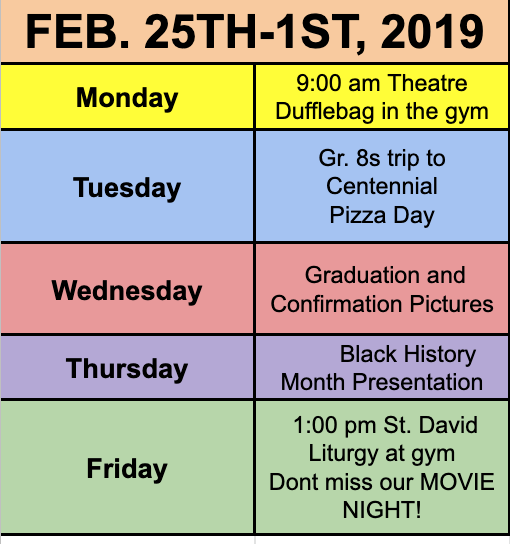 We will be reviewing our detailed EQAO results and other school assessment data, in order to build on our strenghts and address areas requiring improvement. 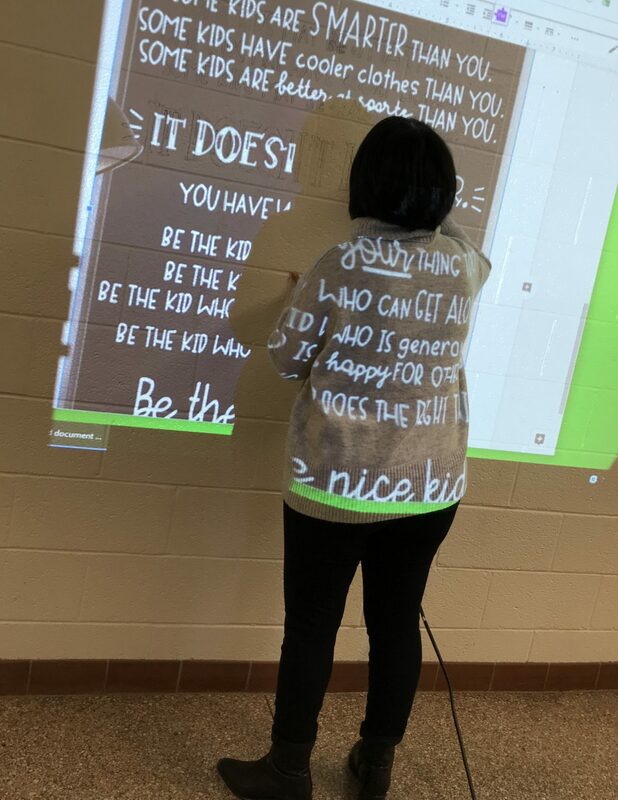 The students who participated in the assessment will be receiving their individual results later this ... Continue reading "St. David’s EQAO Results"